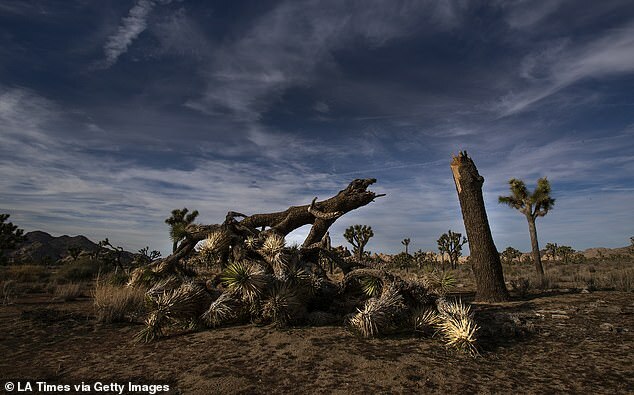 The destruction of signature trees and driving off-road during the partial government shutdown have led park officials to believe that it could take 300 years for Joshua Tree National Park to fully recover. 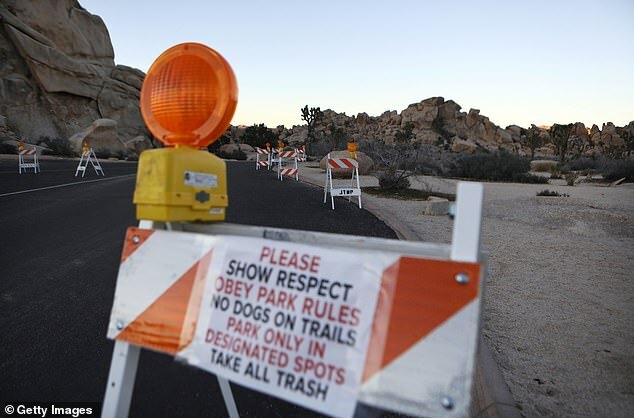 Earlier this month the park, which is located in Southern California, temporarily shut down. 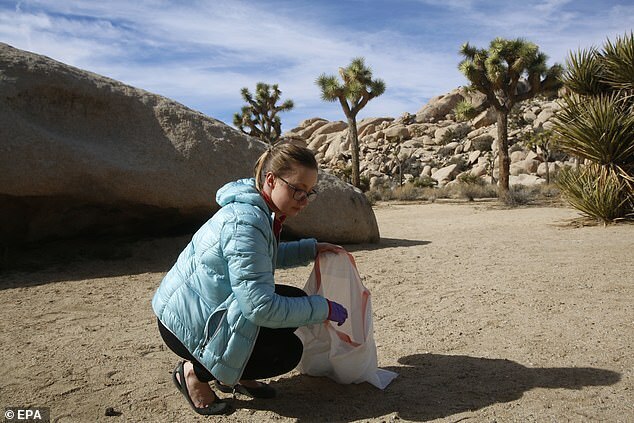 Closure of the vast desert park allowed staff to address sanitation, safety and resource protection issues that have occurred since the government shutdown on December 22. 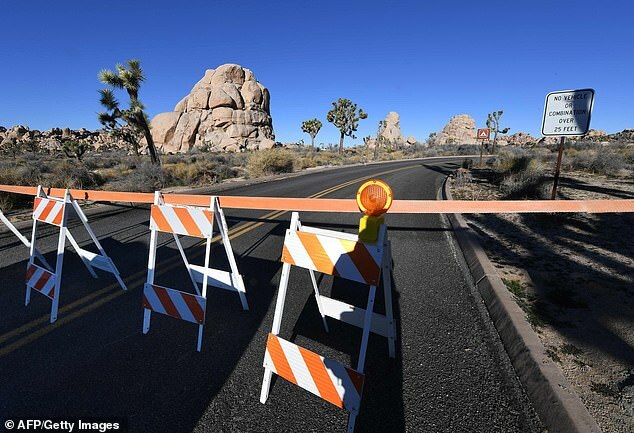 'While the vast majority of those who visit Joshua Tree National Park do so in a responsible manner, there have been incidents of new roads being created by motorists and the destruction of Joshua trees in recent days that have precipitated the closure,' the National Park Service said earlier this month. The statement did not describe the extent of damage to the crazy-limbed trees with clusters of green spikes. 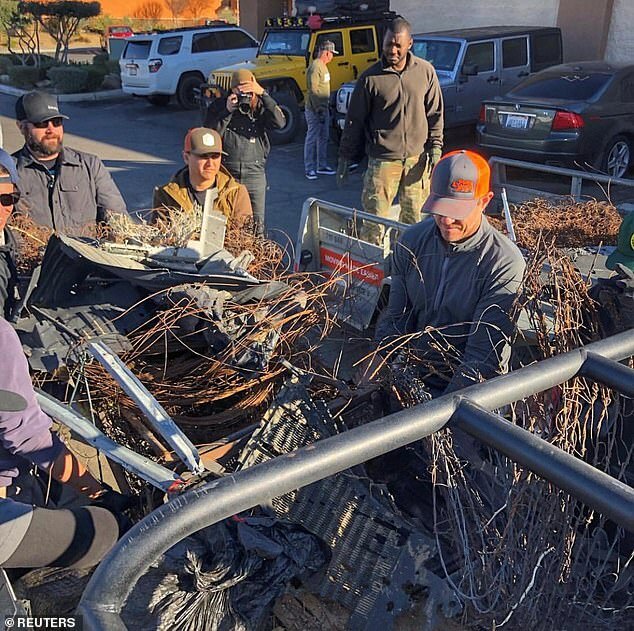 John Garder, a senior director at the National Parks Conservation Association (NPCA), also told Business Insider that some damage may be permanent. 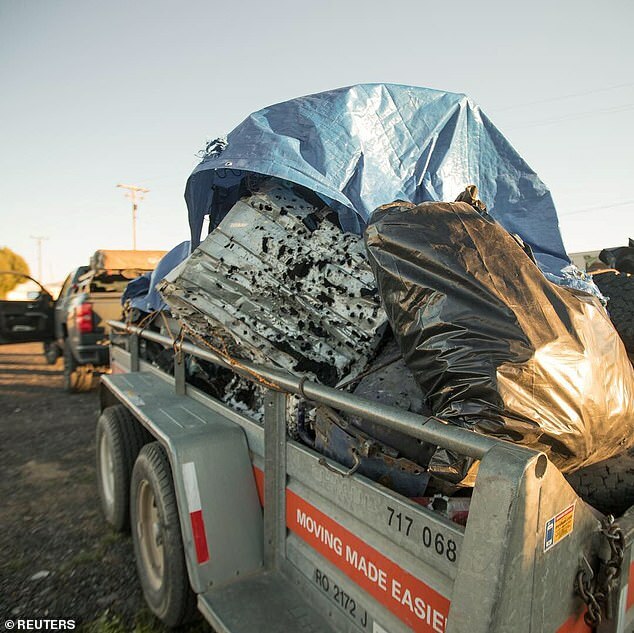 'Some damage can be repaired, but some things can be lost forever,' Garner said. 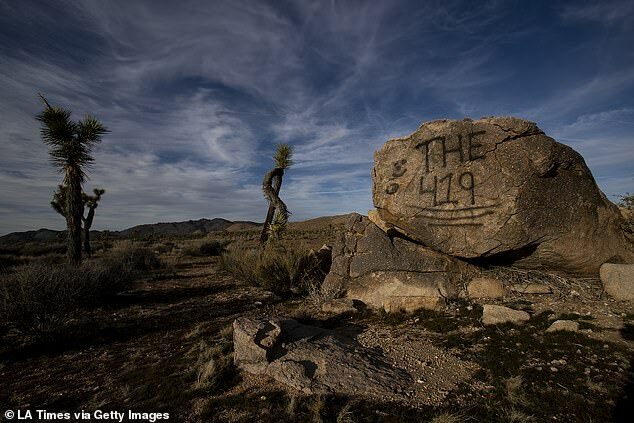 Garner said there is concern that historical sites were vandalized. 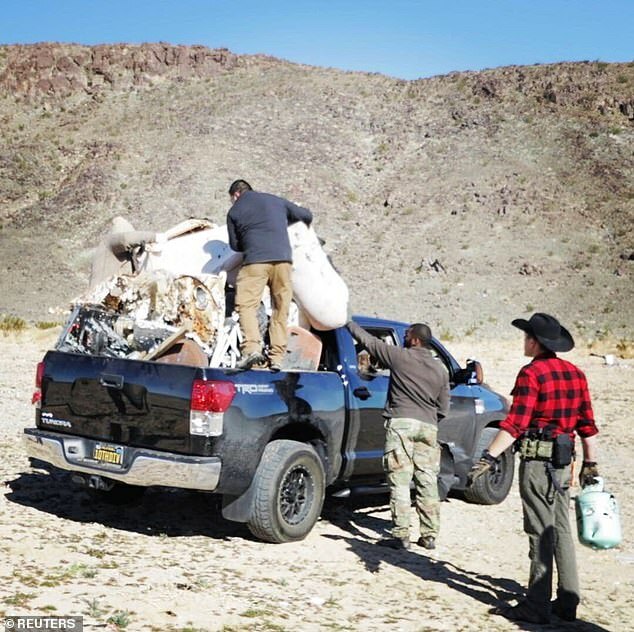 Park supporters, members of local communities who depend on visitor traffic and even some visitors stepped in to help with some basic cleaning of restrooms and trash. The National Park Service said that assistance has been significant. Park officials are also concerned with the damage done to trees. Several trees were illegally cut down in the park. The trees play a key role in Southern California's ecosystem. They provide support to birds, bats, and insects, among other forms of wildlife. 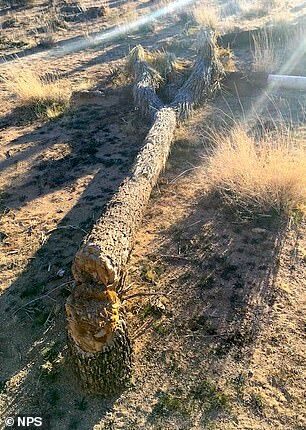 Mojave Desert Land Trust Director of Plant Conservation Programs Madena Asbell told The Desert Sun that 'when a mature tree is cut down, an ancient organism has been killed, and it could be centuries before another takes its place'. 'The desert is a slow landscape that takes a long time to grow and a long time to recover from damage,' Asbell said. 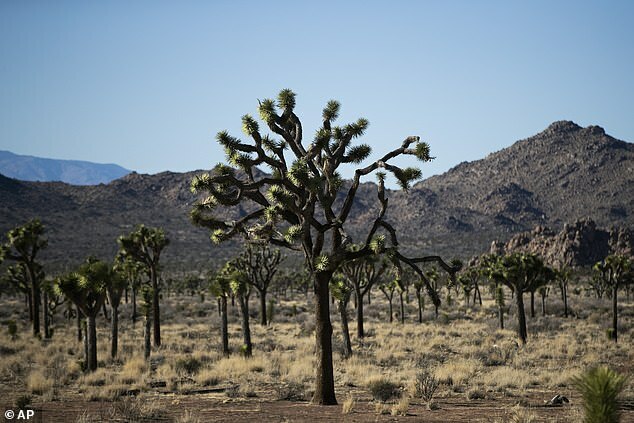 Joshua Tree sprawls over nearly 800,000 acres of the Mojave and Colorado deserts about 140 miles east of Los Angeles. It is most popular between October and May, when temperatures moderate from fierce and sometimes dangerous summer heat. Visitors are advised to have a gallon of water per day per person, and double that for hikers and cyclists.